This semester I’m taking a History of Graphic Design class and we’ve already had our first field trip to the Crandall Print Museum in Provo, UT. I’ve been there before for my Typography I class (which was 3 years ago…), so I was really looking forward to being able to go again. 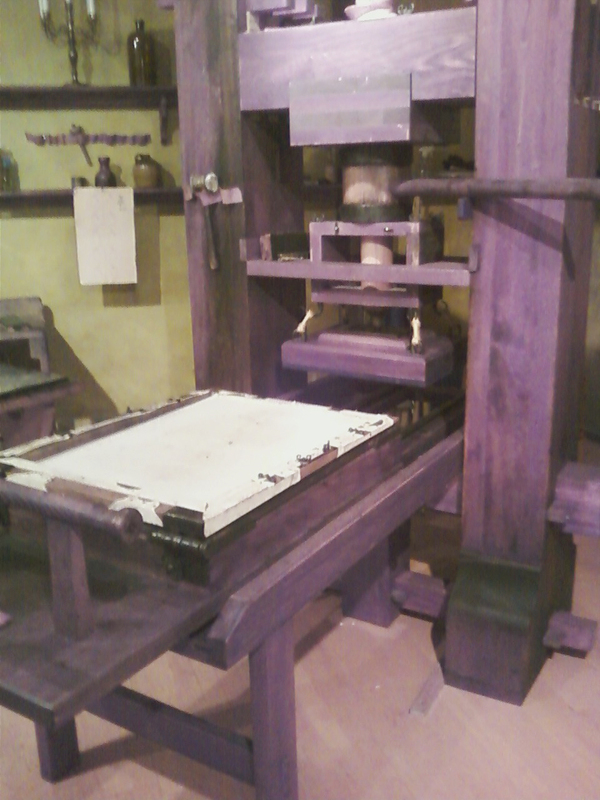 What I love about this museum is all of the different printing presses you’re able to see and even watch them how they would’ve actually worked the press back then! 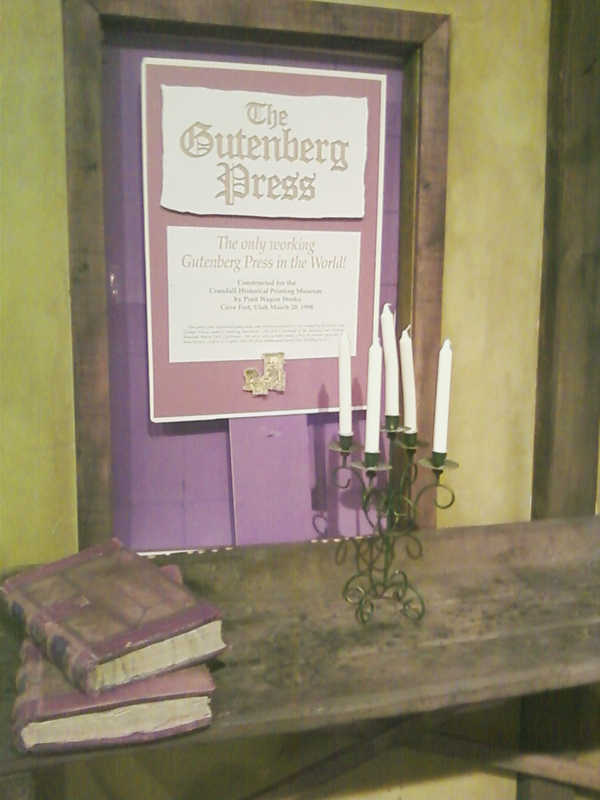 It’s super cool because they have the only working Gutenberg press IN THE WORLD!! Talk about sa-weet! And they even let you touch them and work the levers. 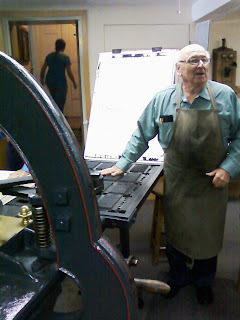 I was even able to pull back the acorn press lever (which I’ll talk about later). It was pretty hard! The type they have set are all actual separate letters like how it really would’ve been done back in the day. They were saying how other museums just have whole plates made with text and don’t have the separate lettering. Pretty cool, huh? 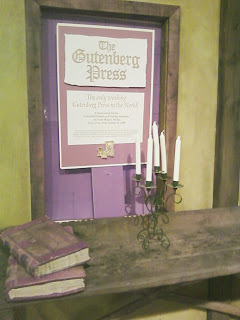 An actual press back from Gutenberg’s time. After they talked about Gutenberg and the printing of the Bible and how influential he was (He is said to be the man of the millennium! That beats out whoever it was who invented the internet. Sh-yeah. 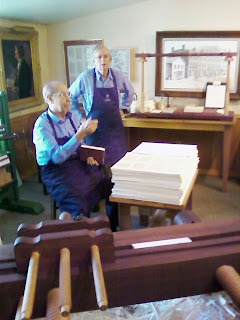 ), they went on to talk about the making of the LDS Book of Mormon. 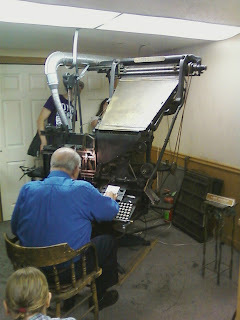 They don’t have the exact printing press that was used – I believe it’s still at the Grandin Press in Palmyra, NY, but an acorn press is what made it. This was the press where I was able to pull back the lever to get it to print. Showing how the Books of Mormon were bound. The man sitting is the one who actually owns the museum. He’s been keeping it running for 15 years and worked as a printer all of his life. He testifies that as a printer himself, he couldn’t believe how fast the Book of Mormon was able to be printed in the given short amount of time which it was. He did not believe it was humanly possible, but absolutely knew that the Lord had a hand in the work. I wasn’t going to give a history lesson here, but I do want to emphasize how cool this museum is and that you should go whenever you can. I believe it’s $4 and the old-men entertainment is priceless. As apart of your $4 entrance fee, you also get a souvenir! Last time I went I didn’t get one of these: it’s your name made from the Linotype machine! Now I have my own cool little stamp made from a century-year-old machine. The man who owns it really takes pride in this museum and was always making sure everyone in our group could see what was going on and if we were comfortable. He even told us a story about how President Monson came only expecting to be there for 10 minutes because he had a conference at the Marriott center. Well, turns out he was there for 2 hours and they had to call the people waiting at the conference to go ahead and eat because the President wasn’t going to be back in time! He worked in a printing press himself which made him all the more connected to what was going on. President Monson even commented how the church should try and get some funding for the museum and to even get some missionaries over there. I’m thinking maybe when the downtown temple gets finished that might happen. But there really is a special spirit in there, and honestly, I found myself trying to hold back my emotions because of all of the amazing history that went on with the Lord’s hand directly over it.